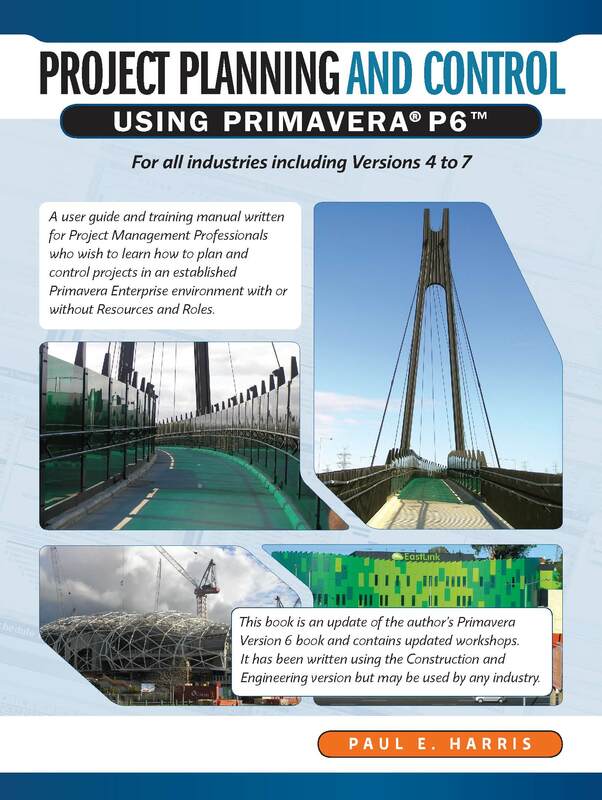 A user guide and training manual written for Project Management Professionals who wish to learn how to plan and control projects in an established Primavera P6 and earlier Enterprise versions with or without Resources and Roles Project. Project management companies who wish to run their own software training courses or provide their employees with an alternative text to the vendor supplied user manual. This book may be customized to meet your requirements, please contact the author for details. This book is a PMI Approved course. REPs may apply to have this course licensed to them. This book is an update of the authors Primavera Version 6.2 book and contains more chapters including Global Change, Multiple Project Scheduling, Managing the Enterprise Environment, Resource Optimization and Leveling. It has been written using the Construction and Engineering version but may be used by any industry and covers Versions 4 to 7. The book is packed with screen shots, constructive tips and contains workshops with solutions at the end of each chapter for the reader to practice the skills taught. Primavera Systems Inc. originally asked the author to write this book and this publication is ideal for people who would like to gain an understanding of how the software operates up to an intermediate level. It covers Primavera Versions from 3.5 to 7 and it explains some of the differences from SureTrak, P3, Microsoft Project and Asta Powerproject to assist people converting form other products.